I’ve had a good week or two as a writer, or at least that’s the case on the surface. My new romantic comedy is out there alive and kicking. I had a promotion that was relatively successful and people seem to like the book. I should be walking on clouds. Instead, I’m walking under them. And it’s raining. And I’m soaked through to the bone and I’m cold and miserable and so agitated that I can’t rest. It’s because of 3 things, really. 1. I’m a very poor and rather dyslexic proof-reader. 2. I know (1) and yet I repeat the mistake over and over, which is really foolish. 3. I seem to feel uneasy about asking for help, even when it’s been offered. The first I was aware of it this time around was in the review that was posted by Elaine G on Wednesday morning. It was a lovely review, too, until it got to the mention of the errors that spoiled the read. I couldn’t believe it when I saw it. I’d checked the book as thoroughly as I’ve ever checked anything before – doubly so, in fact. More on that in a moment. There was only one thing for it. To get in there and read the piece again. The saving grace, possibly the only one, is that it’s no War And Peace. I couldn’t believe what I found. It was like a blanked had been lifted from the text and I could finally see what was really there. 40+ errors, I kid you not, from the sublime to the ridiculous. Of course, I uploaded the new file as soon as it was corrected – another couple of days of hard work spent in an area that should have been done-and-dusted. The thing is, I know it’s too late in some ways. The relative success of the promo is also now the book’s Achilles heel – 6000+ copies of a sub-standard book have gone out. In the process, I’ve let my readers down, myself down, the book down and the indie-publishing community down. It’s really awful. That’s something I’m going to have to deal with – the what-ifs and so on. And, given time, I probably will. For now it’s a little too raw and upsetting. This isn’t about aiming for sympathy, or at least I don’t think it is. And I have to write it and put it out otherwise I won’t be able to rest. I need to apologise and so, I’m sorry. Once this is posted, I may rest easier. The main thing here is a request for ideas and tips so that I don’t do it the next time. I’ll take a step back for a moment and consider the help I’ve had post-publication in the past. Ignite and Nicola Rain Jordan have quietly supported me and sent me lists of mistakes out of pure kindness and I really am indebted to them. What that should have done, did even, was alert me to my weaknesses. I do have a form of dyslexia. It’s visual by nature – scanning and visual memory in particular – and it means I read more like a cart horse in a field rather than a thoroughbred at Ascot. It does often allow me to proof the work of others fairly well in the sense that I need to re-read sentences over again if they don’t make sense. My issues don’t relate to phonological awareness – rhyme, blending, phonics etc as a reader (I’ll not touch on spelling for now) and this means that I’m able to support pupils with literacy difficulties without issue. In fact, in my role as support for learning teacher, I feel it gives me a slight advantage as I’m driven by the passion of the afflicted. What I’d say to a dyslexic pupil is that they must try that little bit harder. They must seek help when they need it. They must employ a few extra strategies to supporting themselves in their work. I would have listened to some of that advice. This time around, I read the book 4 times. It’s possible that one of the times was wasted due to some kind of issue of me reverting to an old document. Even so, I did the fine-tooth comb thing. Clearly, some of the teeth were missing. I read it with a coloured background. I read chapters one at a time and out of sequence. I read with the font so big on one occasion that there were only a couple of sentences on the screen at any one time. And I still messed it up. I could have sent it to one of my publishers and had some of their expertise on side. Untreed Reads would have taken it, I think, but I’d have been impatient with their pace (a sensible one) and actually quite like the control I have as an indie. I will use them as a distributor in the future for this one. I could have sent it to Blasted Heath. As a top-notch crime/noir outfit in the main, they would have been right to laugh in a non-ironic way at the submission. Much as I love them, they weren’t the right place. What can I do next time that’s different? What are the best proof-reading tips you have? Looking at this, Elaine did me a big kindness in her review and focussed on the positives. I’m very grateful for that. And I’ve had a lovely offer from Kew to pass on the mistakes spotted so that I can make any more changes. I believe the version now available is clean, but I’d like some extra confidence in that which must come from somewhere else. If you’ve stuck with this to the end, thanks for hanging in. If you’ve got ideas, please pass them on – I don’t think I could go through this process again without some kind of new angle of approach at the proof-reading stage. I'll admit it - I've deliberately avoided reading this book for years. I suppose it's entered folk-lore and spreads through thoughts and cultures still. It's revered by many and I was a little concerned that I'd be disappointed by the book. What a fool I've been. When I was in the library a couple of weeks ago, it was there face out and calling to me. It seemed so slight and vulnerable among the weighty tomes that I just had to do it. Boy, am I glad I did. Unfortunately, I forgot to write down my memorable quotes before returning it, but there's so much for you to find out about this one that my lack of input is hardly going to matter. I was somewhat taken aback by the brilliance of this story. First of all, there's the way the story is revealed in snapshots. The disquiet and the sinister aspects of the story bite straight away, but I was always hungry to unpeel another layer to get to the bottom of things, even with my prior knowledge of what I would eventually find (imagine reading a book like this with no sense of what it was about - how amazing that would have been). The language is exquisite. A vocabulary that's at least a couple of pegs above my own is used to keep things tight and minimal. With very few words, Stevenson manages to offer a complete picture of a scene or an idea. The characters are superb, from the upper strata of the social set to the butlers and servants of the world. Extraneous story elements just don't exist. In one scene, the lawyer Utterson visits a doctor to find out information. The scene is set and time and place are perfectly fixed. In terms of the conversation, there's no fluff. All the preamble is missing and all that's offered is the meat that is necessary to feed the tale. I'd love it if some of the craft and skill on show here were to seep into my words and wonder how much better I might be as a writer if I'd come to this a long time ago. The book's brilliant. The horror and darkness are cold and clammy. The plight of Jekyll is terrible yet understandable (who wouldn't enjoy that liberation from the cerebral ways of the human for a while?) and absolutely tragic. The only question I am left with related to the pronunciation of the author's name. A friend of mine tells me the middle name should be pronounce 'Lewis' and he generally knows. Maybe drop a comment if you concur. All in all, it's a must read - don't hesitate and pop down to the library or load that kindle right away - either way, it's free. Is it strange to interview yourself? Well … it wasn’t until you brought it up. Jeez, thanks a lot man. Jeez, I’m sorry. I didn’t mean anything by it, I was just asking. Do you have to say jeez so much, that’s my thing, jeez. How about this, I’ll stop if you stop, okay? Je—okay. So are we going to start this interview or what? So, I hear that you have recently put together a book of all your short stories, 23 in all, 17 of which were previously published on line (Yellow Mama, Out of the Gutter, All Due Respect, Literary Orphans, Shotgun Honey, Revolt Daily) or in print anthologies (All Due Respect, Near to the Knuckle, Out of the Gutter 8, Flash Fiction World) and that it is available on Amazon for Kindle at this link (UK). Is all this true? Yes, yes it is. Hey, you seem to know a lot about me. I like that about you. Yeah, whatever. What are your favorite crime and noir novels? Wow, put me on the spot why don’t you? It’s a simple question. People want to know. Okay, but none of them are famous. Doesn’t matter, spill it you sonofabitch. fun books put out by indies. cover art but he hasn’t let me know yet. Please pray for me. This is fascinating. What else? I’m writing a new novel. Wow, that is great! I can’t wait to see it when you are done. Well, let me know when it is finished. Believe me, you’ll get the first look. How can it happen? A writer who seems to exist in dark spaces turns out a romantic comedy? Surely it doesn’t make sense. I could go on for a long time about the way this came about, but I’ll keep it fairly short. This piece of work began around 20 years ago. Life was erratic and unstable, as was I. Having created a number of whirlwinds, I realised I had to survive the storm and one of the things that helped me was writing. 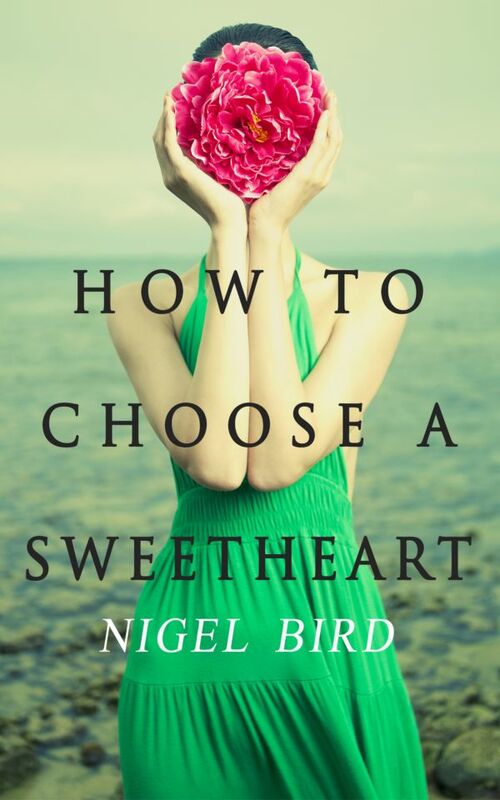 How To Choose A Sweetheart (US) began as something I hoped resembled a screenplay. I felt the idea behind the book was a great one and that I could do it some justice on my electric typewriter. I spent a long time working through it, a blessing in many ways as it helped me to stay out of the bookies when I gave up gambling the first time round. It also helped to soothe some of my hurt. When it was finished, I gave it to a man who worked in films. The way I had it, just like in many a romantic comedy, the guy would read it and the film would be made within months. The truth was rather different. When I finally plucked up the courage to ask him what he thought he told me he’d lost it at some point after the reading the opening pages. However you look at it, there was nothing positive to find. Either he was telling the truth and hadn’t enjoyed the opening enough to care where he put the folder or he was lying to cover up the fact that he thought it was pure crap. I don’t suppose I’ll ever know. As Deborah Faints, this has been hidden in a drawer for many years. I dusted it off to send in for a TV competition called The Play’s The Thing (remember that?). I didn’t hear back from the programme makers, so I guess it didn’t work for them either. Over my Easter holidays this year, I came across it again and started to read. The thing is I loved it. The way it felt in my head and the way I could see it unfold. Some of the lines were pure joy and the structure seemed perfect. To cap it all off, my muse started shouting at me and I couldn’t avoid attempting to turn the work into a short novel. Here it is then. 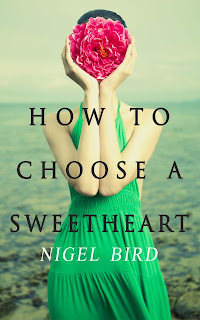 How To Choose A Sweetheart. Boy meets up with ex-girlfriend to see if there’s any mileage in their relationship. There isn’t, but he’s hopeful. Boy goes back to work in his bookshop. Girl walks in and pins up advert seeking piano lessons for her daughter. Boy decides he has to meet girl. He books himself piano lessons with the first teacher he speaks to and pretends to be a piano teacher in order to meet girl. Girl falls for boy. Boy falls for girl. Daughter comes out of shell. But, oh the deception and the fear of revelation and....well, that would be telling. The thing is, the book’s free today and over this weekend. I don’t expect you to love it, but I’d hope you’d give it a try. In my eyes it’s romantic, moving and funny – I hope the rest of the world feels the same. I’d put it as a clean cut mix of Clerks, Woody Allen and It’s A Wonderful Life (not that I’m choosing high bars or anything. If you read it and love it, let me know. If you don’t, pretend you lost it on your kindle. White Shadow (US) is quite something. 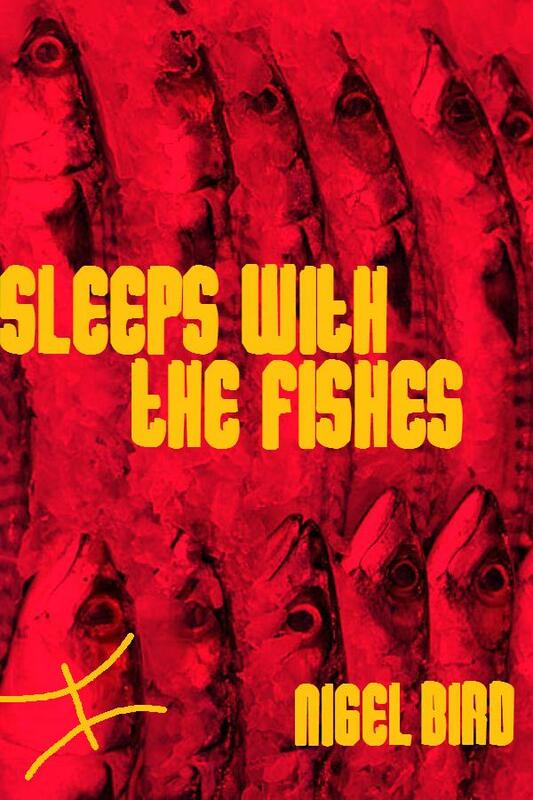 It’s a novel that fictionalises events from the 1950s in Cuba and Florida, where old mobster Charlie Wall has his throat opened, which in turns opens a can of enormous worms. There’s an introduction that is a little daunting, given the number of names that fly out in quick succession, but don’t let that put you off if that’s what you pick up with the sample. When the fiction begins it’s clear that there’s a treat in store. The story is told through 4 central characters and each of them has a cracking tale to tell. There’s a hard-nosed and straight detective, a wet-behind-the-ears journalist of the old-school, there’s a woman who is a Cuban revolutionary and there’s a rather scary gangster. As the story unfolds, Atkins throws figures we may all know: George Raft (‘”Easy come, easy go,” George Raft said. “I made 10 million in my life. Spent it all on gambling, booze and women. The rest I can spend foolishly.”’), Batista, Castro, Lucky Luciano and Bugsy Siegel. These inclusions pepper the mix of mobsters and police really well and bring in an extra dimension that helps to remind one of the factual foundations to this from time to time. There are a lot of strands to the story as the cops chase killers and the killers get busy being nervous about what Charlie Wall may or may not have said to reporters just before he died. Atkins does a sterling job of weaving and binding these all together, all the while keeping the flavours of the hot and buzzing city to the fore. 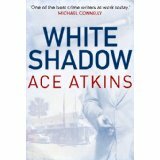 Ace Atkins takes great care in the setting up of every scene with vivid description of people and place and this is one of the marks of the quality of the work. He also maintains a pleasing hard-boiled edge to it all. 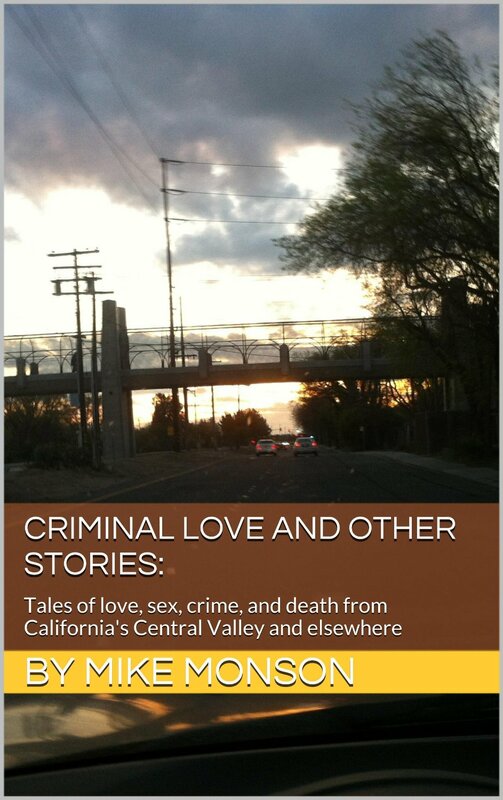 There’s also plenty of the romance, squalor, sordid behaviour, contradiction , danger and violence that you might want to find in an old noir movie; the book does have a strong visual feel to it and would make a great film. Of all the strands, my favourite is the Detective Ed Dodge. He’s a cop who seems to have more about his real life adventures than many fictional characters could lay claim to. This one’s a brilliant, slow read that needs to be appreciated and won’t let itself be rushed. If I have a reservation, it’s related to the length and density of the book, but the real events most likely require such detail and breadth. That said, it’s a book with a great deal of quality that shines a very bright light into a very dingy pool. One of my favourite life-changing incidents in books is in Kafka’s Metamorphosis. Guy wakes up and he’s a beetle. Genius. 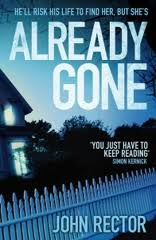 There’s a great life-changer in Already Gone (US). Guy (Jake Reese) comes out of a bar, has his finger snipped off by a couple of thugs. A few days later, the finger’s sent in the post which dispels any theories of him being a case of mistaken identity or random violence. Jake isn’t happy. The police become involved and his wife, Diane, becomes very anxious. When Diane eventually goes missing, life becomes extremely painful. Jake is driven to find her and the likely abductors at any costs and he’s even prepared to return to his old connection and surrogate father, Gabby, to get the job done. Gabby’s an old time crook who has long arms and lives in a disused crematorium with a group of very loyal followers, ex-street kids, who will protect him in any way they can. This is gripping stuff, especially the first half. That mention of Kafka as my opening wasn’t accidental. Part 1 of this book is not unlike the great man’s work. There seems to be no reason for the attack on Jake. There’s nothing to explain why he should be victimised in the way he is. More to the point, there’s no one to kick against. All the information is so fractured, in terms of his memories, his wife, the police et al, that it’s practically a living hell. At times, the uncertainty and the unfairness of it all had me feeling physically sick. Jake’s world is spinning out of control and the string-pullers are totally invisible. That first part, then, is as good as it gets. Part 2 is also very good. In it, the action takes over and the pieces of the puzzle are put into place one by one. The mood is always intense and the plot remains gripping. To my mind, the second part lacks the power of the first, possibly because that fractured whole is so unsettling and that the more certainty creeps in the less intense the story becomes. There’s also an issue in that Rector really does stretch the motives and passions of Jake until they’re wafer thin. Faced with some of the evidence as it arrives, I think I’d have jumped ship way before the climax. It’s a very good read and you do ‘just have to keep reading’ as it says on the cover. What’s this ‘Yellowcake’ business? You mean yellowcake as in uranium? Indeed. 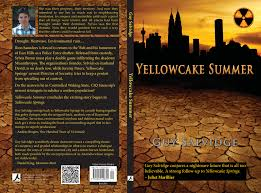 Yellowcake Summer is a dystopian novel set in Western Australia around fifty years from now. In it, a Chinese company called CIQ Sinocorp has bought up a vast tract of the state and set up a nuclear reactor town, Yellowcake Springs, there. The region has been deemed a ‘Protectorate’ not subject to Australian law, and not everyone is happy with that. Hang on a minute. This is a sequel, isn’t it? It is. The first novel, Yellowcake Springs, won an Australian competition called IP Picks and was subsequently published by IP in 2011. 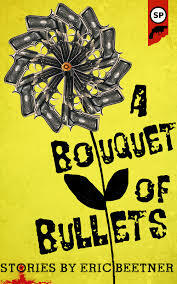 The novel was later shortlisted for the Norma K Hemming Award in 2012. Right. 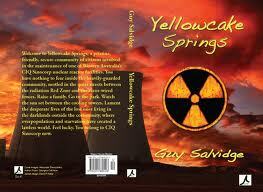 So what happens in Yellowcake Springs? In Yellowcake Springs, we follow the lives of three people in vastly different situations in the year 2058. Sylvia Baron is an advertising rep living an affluent life in Yellowcake Springs. Rion is a vagrant from the ‘Belt town of East Hills, trying to scrape out a living. Jiang Wei is a young Chinese man recruited by CIQ Sinocorp to work at Yellowcake Springs. The lives of all three become intertwined partly through the use of Controlled Dreaming State, a sort of advanced virtual reality. Sylvia’s husband heads up a secret environmental (or ‘mental) group known as Misanthropos and the group stages an attack on the reactor complex. Sounds dicey. So what happens in Yellowcake Summer? By the time of Yellowcake Summer, three years have passed since the events of the first book. Sylvia Baron is getting out of prison for something that happened in the first book, Rion is about to be conscripted into something called the Civilian Police Force, and our third viewpoint character Jeremy Peters is about to be promoted to Director of Security of Yellowcake Springs. Am I going to have to wait for Yellowcake Winter to find out how it all ends? Tempting title, but no. The story is complete in two volumes. Got anything else coming out, an anthology of post-apocalyptic noir perhaps? As a matter of fact, yes! A couple of years ago, I read a novel called Tobacco-Stained Mountain Goat by an ex-pat Aussie called Andrez Bergen. Mad book, a mish-mash of detective and science fiction. Lots of fun. 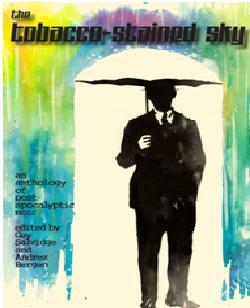 Anyway, I wrote a review of that and Andrez ended up inviting me to write a story for something he was putting together called The Tobacco-Stained Sky: An Anthology ofPost-Apocalyptic Noir. I can’t help but see your name on the front cover there. Am I blind? — we get it, sheesh. So it’s a good book, is it? Fantastic book. It has some amazingly entertaining and well written stories in it by people like Josh Stallings, Chad Eagleton, Julie Morrigan and Nigel Bird. Plus a whole bunch of comics, artworks, you name it. The Tobacco-Stained Sky will be out very soon, on August 26th. Never mind. I take it you have some other stories doing the rounds, then? My story in The Tobacco-Stained Sky, “The Dying Rain”, turned out to be the first in a series of stories featuring Tyler Bramble, a Seeker living in post-apocalyptic Melbourne. These stories are in the Tobacco-Stained Mountain Goat universe. 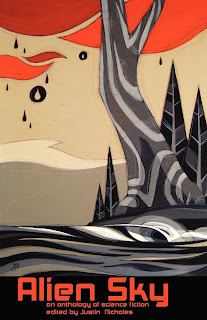 The second Tyler Bramble story, “Blue Swirls”, was published in a new Australian magazine called Tincture Journal and will shortly be featured in the second issue of Canadian anthology, Warpaint. I’ve written a third Tyler Bramble story, “A Void”, which might come out sometime next year, with a bit of luck. No-o. I had a story, “The Last First”, in Another Sky Press’ Alien Sky anthology earlier this year. Wait, you didn’t edit that as well, did you? No, it was edited by a very nice man named Justin Nicholes. We aren’t even related. Working on something else, are you? Right now I’m writing a crime fiction novel called Dan: A Cautionary Tale. Earlier this year I was lucky enough to be selected as a Writer-in-Residence at the KSP Writers’ Centre in Perth, so I had four solid weeks to make a start on the novel. I’m about half way through. So you write full time, do you? Raking in the big bucks just like F. Scott Fitzgerald? Um, not quite. I have a day job, of sorts. You know, teaching high school English and all that. But you’ll be able to give that away soon, won’t you? Just as soon as Yellowcake Summer hits the big time like that crime novel by that guy who turned out to be that lady, what’s her name? Do you know, I think I've managed to avoid too much self-promotion for a while and I'm happy that way. 'This short story is both atmospheric and claustrophobic. It features a man who has spent 18 months hiding in a basement from the authorities because of an accident of birth. A new government has decreed that people with the wrong birthsigns are to be done away with. I love a story that makes me think, 'What if..?' If it were proved that more criminals had one birth sign than another, would that be a reason for condemning all people born at that time of year? Of course not, but could a cunning politician or two make people believe it? If the Amazon link doesn't thrill you, you can get it for free via WHSmith (courtesy of Kobo). Eric Beetner is a brilliant story-teller. Apart from his skill in terms of craft, he possesses a great imagination that can turn almost normal situations into crime stories. He has the ability to draw out the most from an idea by working in the ingredients of situation, gore, violence, tension, character and humour in just the right quantities for each individual piece. The tales here are varied in terms of situation and voice and there are some rather substantial pieces included here. Each is rounded off with a punch of the correct weight and all of them left me feeling satisfied. 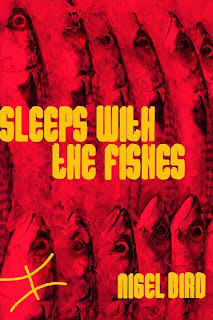 When put together, these stories form a mighty collection that provide ridiculously good value for fans of crime fiction and fans of engaging short fiction. Jump on and enjoy (but be warned – watch your fingers). I also happen to love the cover on this one – quite stunning.